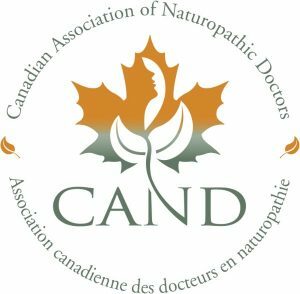 Make sure your Naturopathic Doctor is registered with the CAND and SANP. Licensed naturopathic doctors require a minimum of eight years of post-secondary education. The process to gain acceptance to an accredited naturopathic medical school is similar to that of conventional medical programs. Students must obtain the prerequisites necessary for application and undergo an extensive interview process. The degree, Doctor of Naturopathic Medicine, requires four additional years of graduate level study in the medical sciences. These include anatomy, physiology, biochemistry, microbiology, pathology, pharmacology, immunology, physical and clinical diagnosis, differential diagnosis, laboratory diagnosis, and radiology. Students also receive intensive training in naturopathic modalities such as clinical nutrition, botanical medicine, Traditional Chinese Medicine, homeopathy, hydrotherapy, naturopathic manipulative therapy and lifestyle counseling. Training for a degree in naturopathic medicine also includes over 1500 hours of clinical training in outpatient settings. There are seven accredited (recognized by naturopathic medical regulatory boards) naturopathic medical schools in North America including two are here in Canada. These government-appointed boards require candidates to pass comprehensive examinations before licensing them to practice. After acquiring the degree of Doctor of Naturopathic Medicine, candidates must pass a national level board examination in order to become a licensed practitioner. In order to maintain an active license a naturopathic doctor must have malpractice insurance and complete a number of continuing education hours to keep up with advancements in medical and naturopathic therapeutics. The title Naturopathic Doctor, Naturopath, and Naturopathic physician, are regulated titles under the Health Professions Act. These titles are not be confused with other titles like Natural Medical Doctor, Natural Doctor, Doctor of Natural Medicine, Holistic Practitioner, or Holistic Doctor. These are NOT regulated by the same boards. For insurance purposes, naturopathic treatments must be administered by a registered naturopathic doctor. Be certain that your doctor is registered.